The Emerald Isle has played a fictitious Westeros in Game of Thrones, a collapsing Northern England in Tudors and sometimes even the streets of London, Massachusetts, Berlin and many more. With over 2,000 movies and TV series claiming various filming locations in Ireland, it puts the country at the 17th spot in the world’s list of the highest number of shooting locations. Here is our guide to Ireland for movie buffs. Enjoy! You can try to apparate, if you have it in you, to the Cliffs of Moher. These cliffs have ensured themselves over history and until kingdom come, to linger amongst the top places to visit in Ireland. Ireland played host to a horcrux hunt in ‘Harry Potter and the Half Blood Prince’. The scene unfolds as Harry and Dumbledore teleport from Hogwarts and land on a single rock facing an entrance of a cave in the elegant Cliffs of Moher. The interior of the caves as in the movie maybe a product of CGI, but the exterior is sheer brilliance of nature. Other films include: The Princess Bride, Ryan’s Daughter and Into The West. See also: Pat Sweeney’s Cliffside Walk or Cliffs of Moher Boat Cruise. The culmination of Star Wars: The Force Awakens saw the beginning of the film courting Ireland’s west coast when it ended on a cliff-hanger. Many scenes were shot in Cork, Kerry and Donegal. The highlight of them was Skellig Michael which was first introduced when Luke Skywalker was hiding in his self-imposed exile and was found by Rey. Even before Luke Skywalker was revealed in the movie, scenes of the island Skellig Michael evoked gasps of amazement. The UNESCO World heritage site off the coast of Kerry, awoke along with the force and the last Jedi and stormed into Ireland’s top places to visit list. Skellig Michael was also a monastery in the 6th century. Now the ruins also attract high number of tourists who visit it not only for the spotlight the movie endowed but also to explore the beehive huts and the stunning steps. One must wonder how the monks survived the challenging weather. The island is 11km from the mainland into the Atlantic Ocean. 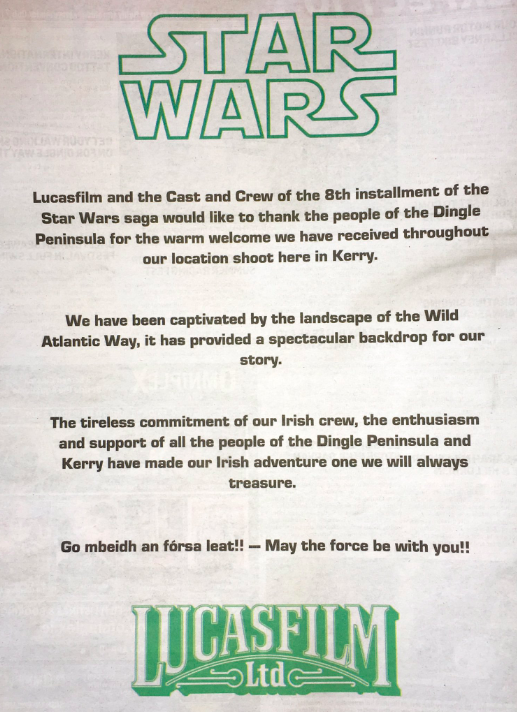 Mark Hamill and Lucasfilm placed newspaper ads to thank the locals for the warm welcome. See also: Skellig Islands, Kerry Experience Tours, Skellig Adventure Cruise and Skellig & Dingle by Helicopter. William Wallace led the Scots in a ferocious battle against the English, and although the film was primarily based on Scotland, much of the footage was captured across Wicklow, Meath and Kildare. The Dunsany Castle, King John's Castle and Trim Castle which were featured in the film are all located in Meath. The Oscar-laden movie used various other spots such as the Sally Gap in Wicklow and the iconic scene of the Battle of Stirling Bridge which was shot at Curragh Plains in Kildare. Trim Castle is a must for any Braveheart fan, but while in the area also check out Bective Abbey, Tara Hill, Slane Village and Castle, Battle of the Boyne Visitor Centre, and Newgrange. In Cecelia Ahern’s ‘PS I Love You’, the film shuffled between the streets of New York and Ireland. One of the most beautiful classic fairytale-like scene was when Gerard Butler met his romantic counterpart in the Wicklow mountains - certainly worth a visit. See more: Wicklow Guided Walk. The North remembers and so should you! Winterfell is actually Castle Ward which is located in County Down. The castle is thronged by visitors and is arguably one of the most visited filming locations in Ireland. A location that is overwhelmed with appalling moments in the series. 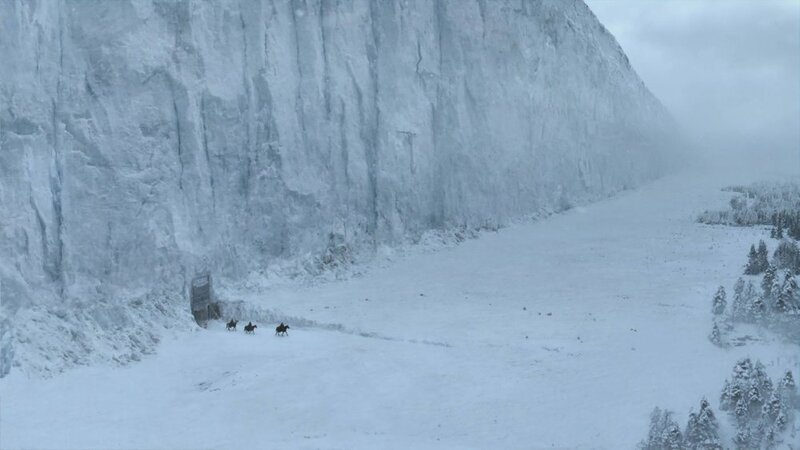 The entrance to Castle Black featured in the series many times with honourable mentions; like the time when the wildlings were first brought back to the other side of the wall. The second time it was the battle between the White Walkers and Jon Snow’s army. This Game of Thrones filming location is situated in, Magheramorne Quarry, County Antrim. The place was heavily digitized for the series, but hey! The Dark Hedges was where Arya Stark meandered after one of the most gruelling, heart-wrenching scenes in Game of Thrones. This filming location also frequently appears as original as it appears in real life as the King’s Road in seasons 1 and 2. Remember when Ser Davos was tasked with taking Lady Melisandre to Storm’s End where she gave birth to the shadow baby? Defying all the grimace around the scene in the series, this popular filming location has always remained a famous tourist spot. The series only added more buzz, fans and fantasy to the place. Theon Greyjoy returns to Ballintoy Harbour to get the support of Balon Greyjoy. He meets his sister Yara Greyjoy. Okay, that sounds bland. 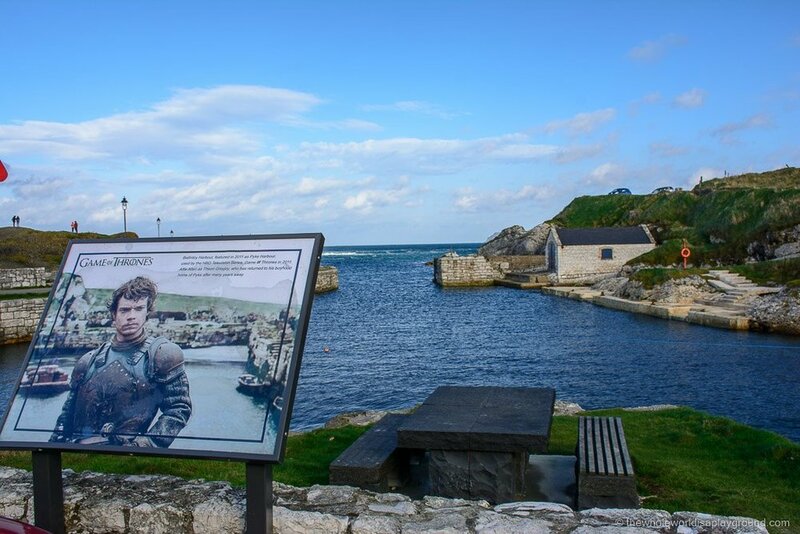 Another filming location that played an uncanny double was Ballintoy Harbour, which served as Pyke and the Iron Islands. The harbour is served by a thin and unwinding road. But that doesn’t stop fans from visiting the place. Since the location’s originality was retained one might feel like they are actually on the set! This filming location staged two scenes for Game of Thrones. This place served as the backdrop for Theon’s horse ride with his sister Yara and where Ser Davos Seaworth was shipwrecked after the Battle of Blackwater Bay. Despite the fanfare the filming spot has received, the stunning landscape and the view it gives across the sea reaching the Scottish mainland is worth a view. For Game of Thrones fans, this one another to check off on your Irish bucket list. Dunluce Castle is a famous location in Northern Ireland even before the Game of Thrones needed it for filming. The actual castle wasn’t used for filming owing to its instability. However, the Game of Thrones production took inspiration from the castle to build the Iron Islands, the home of the Greyjoys. What are your favourite filming locations in Ireland? Let us know in the comments below.